I’m not sure if you’ve heard about this dragon, but please watch this video. As I said in the video, this dragon has met its demise this month, and is no longer featured in the theatre at West Edmonton Mall in Edmonton, Alberta, Canada. The reasons are rather boring, don’t you think? So, please think of a better reason for the dragon’s death at an early age of only 15 years. You can do this any way you like, a simple comment on this post, a longer post on your own blog, or even a video. If you do write a post or make a video, please leave the link in the comments. You don’t need to write a story, just a short explanation is fine. But it’s up to you how you do it. I look forward to the responses. 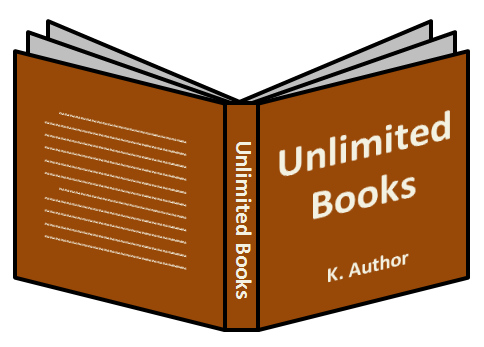 Here’s a followup on a previous reblog I did about Kindle Unlimited. This time, an estimate of the actual pay that authors will receive. It’s quite comprehensive, and well-worth the read. Thanks for the information, Chris! Kindle Unlimited was introduced a little over halfway through the month of July. $800,000 was added to the KDP Select Global Fund, bringing the total fund to $2 million. That’s a big number, 500. And that’s how many times I’ve posted on this blog. This is post number 500! I’d like to thank all of my readers for being such great people, and I love all the comments you leave on here. I hope to continue to give back to the blogging community and provide interesting, informative, and entertaining posts for you for years to come. In the second 500, I hope to see Journey to Ariadne completed, at least 30 more reviews written, the Ariadne Encyclopedia underway with comprehensive articles, at least 300 flash fiction stories written, and all of this done in a year. I’d also like to take the opportunity to thank my top 6 commenters for helping make this blog more lively: Sierra, Winter Bayne, Tracey Lynn Tobin, Linda G. Hill, Tara Southwell, and H. Anthe Davis. Thank you! If I left your name out, don’t worry, you’re all important to me. As I mentioned before, I decided I’m going to write very short pieces of fiction related to things I like and dislike. I’ll choose a topic and write a brief scene about that topic. The first one will go up on August 1st, and hopefully every day after that. I can’t guarantee it’ll be done every day, since I may actually be writing Journey to Ariadne and have no time for the flash fiction. So, what’s my first theme? Well, of course it has to be one of my biggest likes, as well as many other people’s biggest loves. It’s the most perfect, beautiful tasting and smelling food that makes your mouth water. It’s bacon! So, how can I write fiction about bacon? You just wait and see. I try to read as much as I can in what little free time I have. I don’t consider blogging my free time. I don’t consider vlogging free time, either. It’s work. Unpaid work, but still work. However, reading is a hobby of mine. I like to get myself lost in a book, transported to another place and time. I also want to find the perfect place to read. These days, I tend to do most of my reading on the train to and from work, as well as during my break at work when there aren’t many distractions. If a coworker has a break at the same time, I can’t read. I’d love to read at home, but I find that my daughter would prefer to have my attention. I want a comfortable place to sit and read. Outside is wonderful, as long as there aren’t many insects and it isn’t too hot. In my home would be fine if I had a private place to go to read in silence. A cafe can be a bit noisy and I feel guilty if I’m taking up space after finishing my drink. What I would like to have is my own room. I kind of office/library with a sofa. That would be wonderful. Camp NaNoWriMo is coming to an end, and I think tomorrow morning is my last chance to write anything for it. I don’t plan on reaching my goal, though. In fact, I haven’t written as many posts as last month, so that’s no surprise. However, there are some writing things coming up in August. First, the return of What Will You Write? I’ll be giving an additional 2 weeks for #5 after the official announcement, and I plan to write something for it. So, look out for that. Also, I’m going to start a writing series that will feature very short scenes and stories based on things I like and dislike. I’ll choose something I like and write a scene focusing on many different aspects. Sometimes, I’ll focus on character, sometimes on setting, sometimes on action, or dialogue. It depends on what the topic is and what I’m feeling at the moment. These stories will be very short, possibly only 100 words, or it could be more. Again, it depends on what I’m writing. I won’t set a word goal for this. These will be quick to write, so I plan to do one a day, though I may miss a day or two here and there. I’m not very worried about that, since I may end up writing Journey to Ariadne instead. So, those are just some updates for you. Any comments? It may as well be Egypt here. Since Thursday, it has been at least 35 degrees every day. Thursday’s 35 degrees gave way to Friday’s 36, and the hottest day of the year so far. Saturday dropped down to 35, but it went up to 37 on Sunday. Add in high humidity, a couple thunderstorms, and you have Ra and Thor conspiring to steal all the energy I have. This weather just makes it difficult to concentrate, because all my energy seems to be gone. I just want to sleep. Camp NaNoWriMo is ending soon, and I haven’t made any progress. Far too busy and a lack of energy make it difficult to get anything done. Not only that, it seems like the heat only makes my daughter stay awake longer. I finally got her to bed a few minutes ago. Well, I have some cleaning to do, then it’s off to bed. I really can’t do much in the way of writing. I’m looking forward to tomorrow and the prospect of having plenty of delicious liquid sustenance. Summer makes me want to drink fruity drinks.